THE TOURING HAS BEGUN WITH A BIG BANG! Drum Legends with Pete, Charly Antolini and Herman Rarebell played their first show in the Germering Stadthalle on Thursday, March 3rd. There had been around seven rehearsals prior to the premiere and the band was well-prepared. 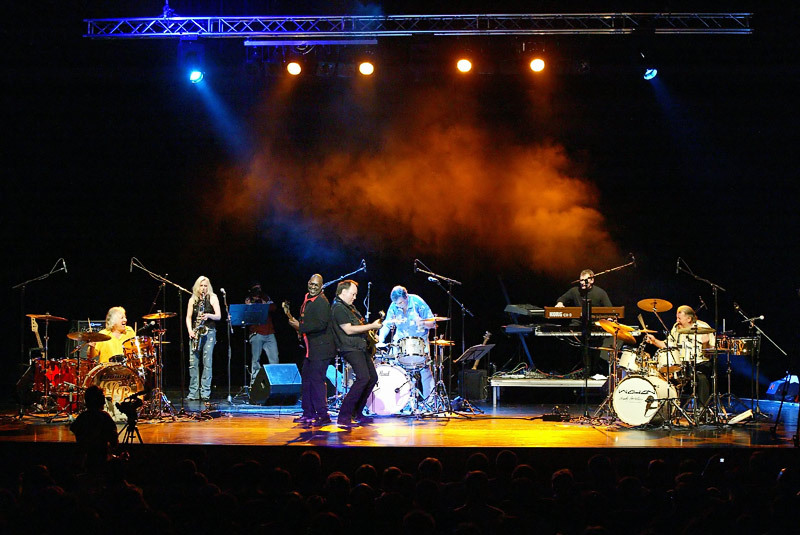 Together withHerman’s wife, Claudia Raab, on tenor saxophone were Bernd Kühl on guitar, Jörg Raabe on keyboards and Raoul Walton on bass guitar. 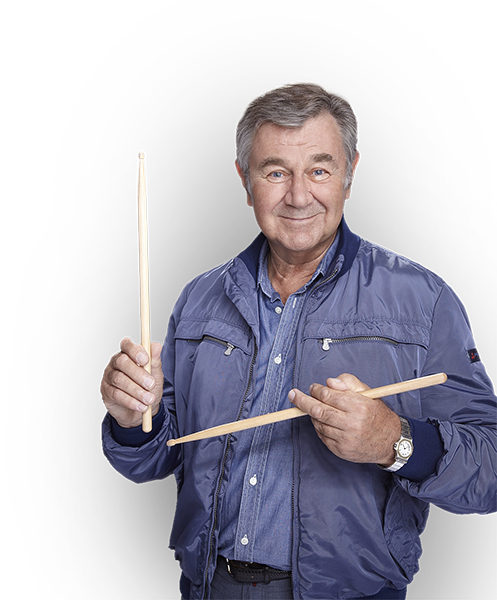 The programme was made up of some rock standards, a couple of drum hits from Cozy Powell and Sandy Nelson, funk, fusion, Latin, swing, in fact all things drummy to hit you in your tummy!!! There were some unexpected items like Charly’s stunning cadenza on the Baseler Drum and the brush feature “Cute” which had Charly with Pete playing the part of a vocalist and a big band. Pete, Herman and Claudia are all singing; Bernd, Raoul and Jörg all join in the back-ups and Charly has some vocal breaks also. The guys in the band all soloed with great effect and the packed audience responded to every exciting break. The three drummers each had an extended solo and these were spaced evenly throughout the evening. The different styles of the stars ensured that these dazzling displays never became repetitive or boring. The total years of drum experience of this unique percussion trio is over 140 so its not surprising that the audience was totally thrilled and amazed at the enthusiasm and power which surged off the stage and engulfed them.